Our vision is to supply machine solutions and digital services to make the bonding process for manufacturers of glued wooden parts as simple and efficient as possible. Our offer includes high performance adhesives plus machine and software solutions to dynamically optimize the bonding process. Throughout the years we developed a number of solutions that are now bundeled in intelliCURE. the adhesive system in the optimum condition, to guarantee the efficiency of production. Contains hardware and software solutions to control circumstances which might influence the performance of the adhesive system along the entire process chain. Helps to utilize our adhesives in the most efficient way and improves the competitiveness in terms of sustainability, quality and cost-management. Supports the quality management of the bonding process and contains maintenance and service modules. We see digital transformation as a great opportunity to deliver new value to our customers and drive further growth of our business. 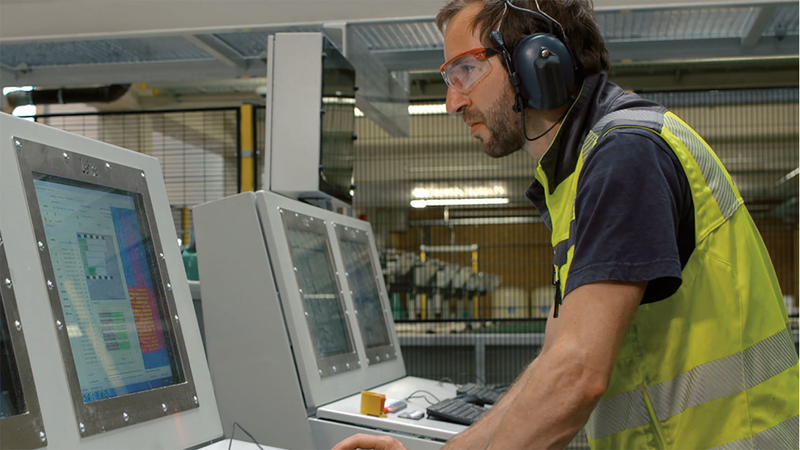 intelliCURE by AkzoNobel is the next logical step in integrating digital services into our product offering and helping our customers to improve the efficiency of their production lines. That interface between human, machine and chemistry sets new standards and supports digital transformation.